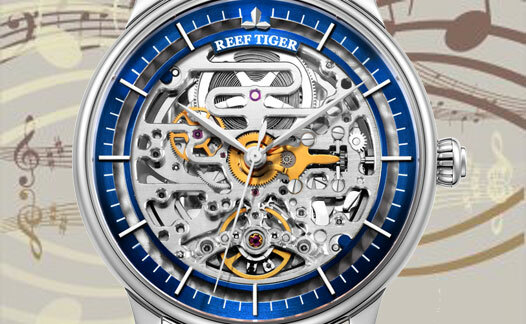 Reef Tiger Artist Musician watch roots in note and rhythm from music. 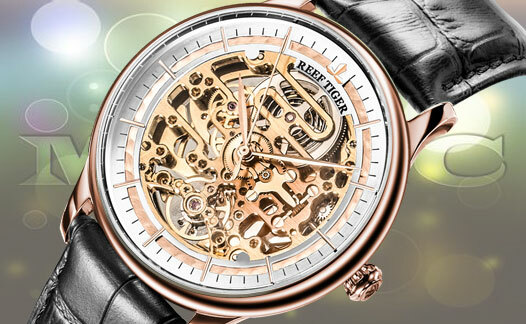 It is to mechanically interpret the wonderful feelings of human from music with hollow, engraved watchmaking techniques. 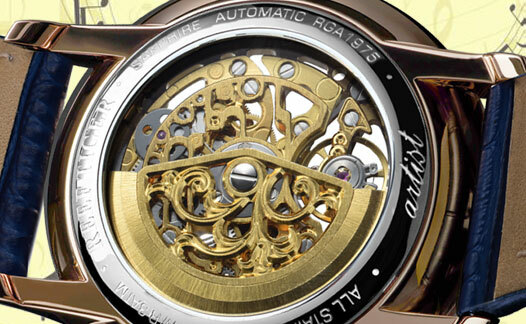 In order to highlight the beauty of movement’s rotation, Musician watch only is with hour and minute pointers. Willow-type pointer brings French elegance, echoes with the sword-type timescale, it is exquisite and smart. 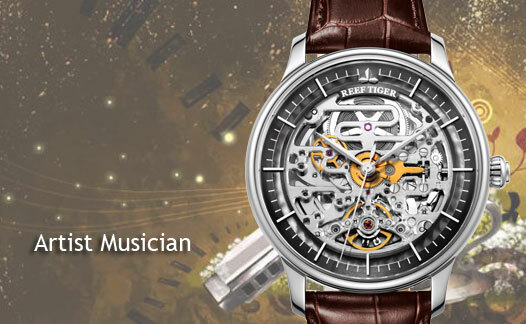 Musician watch is with Italian imported calfskin strap, and with a special designed folding clasp. Strap is soft and comfortable, the lines of buckle is smooth and beautiful. It is to highlight the delicate elegance and taste.